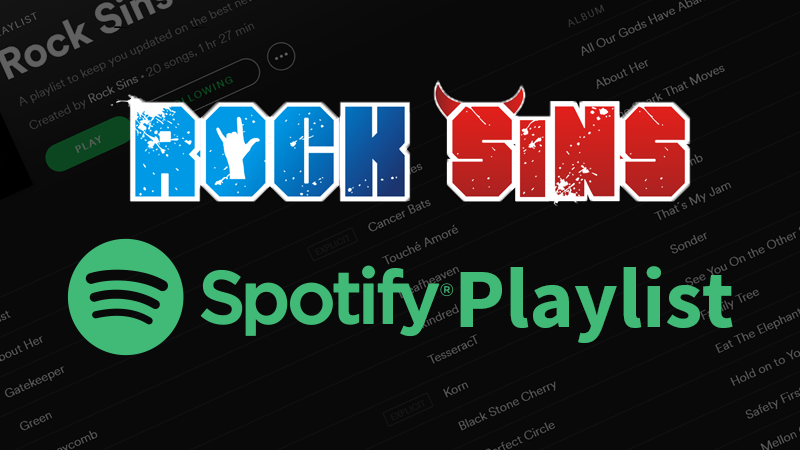 Following Friday night’s jubilation and partying into the early hours after Sum 41 and System Of A Down, team Rock Sins returned fresh, and not sporting too many hangovers, to tackle the second day of Download 2017, Middle Saturday. 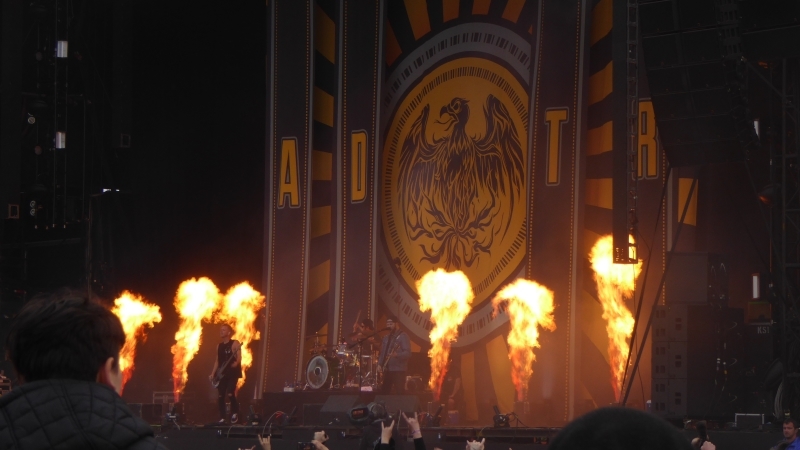 If you haven’t yet checked out our Friday coverage from Download 2017 and would like to do so, all the links are provided below for your convenience. Kicking off the Download main stage on Saturday at an eye watering 11am you cannot be surprised that the majority of the crowd looked more like a horde of weary hungover zombies rather than a hyped up audience but that did not deter Hacktivist (7) from waking up as many as possible. 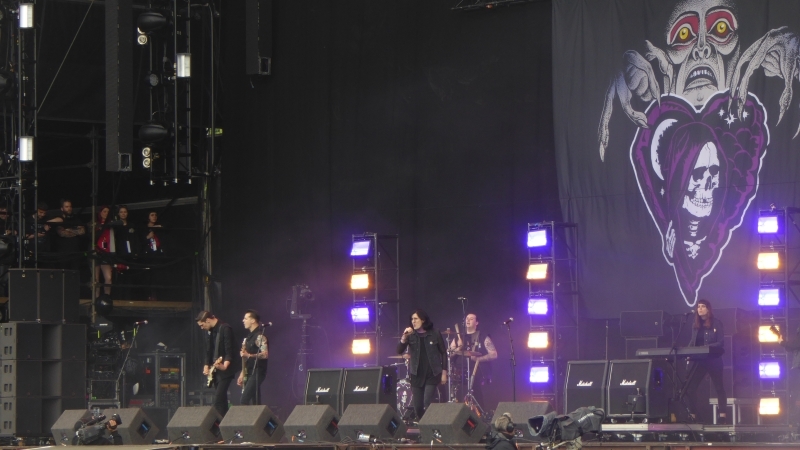 AFI (7) were the band I was most looking forward to seeing at Download 2017. They are one of my all time favourite bands and one I grew up adoring. It seems however that this would not be their day. Arriving to very little fanfare and to a someone smaller crowd than their billing may suggest, they are largely met with apathy, with a few pockets of the faithful sprinkled in. They seem to know this and put in a somewhat professional performance that whilst full of energy is devoid of any emotion. Davey Havok has a look on his face that clearly suggests he is not happy with the crowd’s response and doesn’t engage with them from the minute he enters the stage to the time he throws his mic down and walks off at the end. 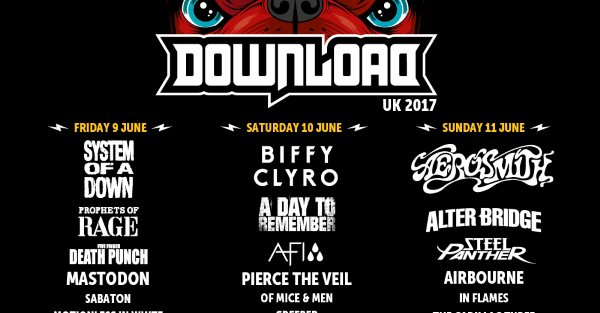 Having played here so many times over the years, A Day To Remember (9) have built up quite the Download pedigree. Tonight it shows because this is by far the best set they have delivered on Donington soil, performing to a crowd that was far larger than the night’s main stage headliners Biffy Clyro. From the opening All I Want to the last notes of The Downfall Of Us All, A Day To Remember threw down a clear marker that they could easily be headlining Download in years to come. Frontman Jeremy McKinnon was on fine form (much better than the somewhat croaky performance two years before) and the hits came thick and fast during the bands’ 70 minute set, which seemed to pass by far quicker than the allotted time. There was a lot of talk before the weekend that Biffy Clyro (8) weren’t big or heavy enough to headline the Download main stage and although the crowd was seemingly smaller than that for System of a Down the night before there was definitely a significant dedicated support for them, who weren’t disappointed. Vocalist Simon Neil commented on how honoured they were to be on that stage and further justified their place as headliners by reminding the crowd of their history with the festival, having first performed at Donington 15 years previous and numerous times in between. Biffy’s performance did not hold anything back, with their trademark shirtless and sweaty haired look they delivered a high energy show from start to finish enticing the audience throughout, also leading an impromptu mass sing along to Aerosmith’s classic I don’t want to miss a thing. This shouldn’t be surprising bearing in mind the continuous acclaim they have received for their live performances over the years but was great to experience all the same. The set was a modern day greatest hits for Biffy enabling the crowd to sing along in unison to practically every track, including among others Who’s got a match?, Mountains and Many of Horror. I heard a lot of Biffy fans complain that they don’t play their older heavier stuff anymore, they appeased them at Download by playing the frantic scream infused There’s No Such Thing as a Jaggy Snake from their 2004 album Infinity Land, last played at Download 10 years ago and 57 from their debut album Blackened Sky. Words by Iain Willetts, Simon Crampton, Connor Morris and Jamie Giberti. Creeper and A Day To Remember Photos by Jamie Giberti.